Socks are just about the epitome of coziness. They are perfect for those colder autumn and winter days. Socks also make a great gift for just about anyone. 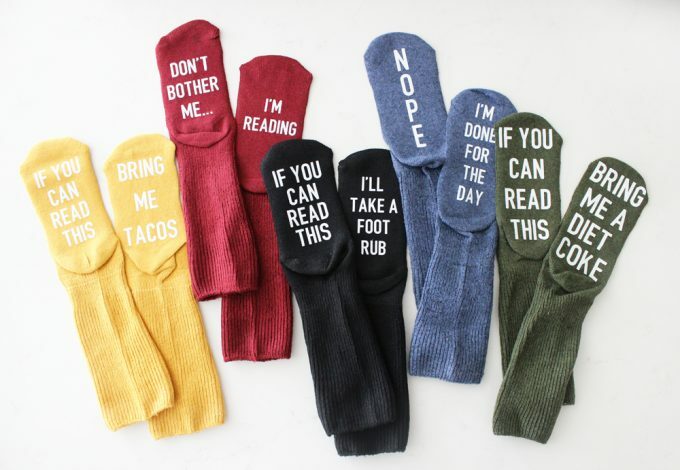 What is even better about socks is the funny socks. Learn how to DIY Funny Socks Made with Cricut and EasyPress 2 from Pretty Providence. The new EasyPress gives these socks a professional look, but are completely individualized and you won’t find them anywhere else. Perfect for gifts for just about anyone!